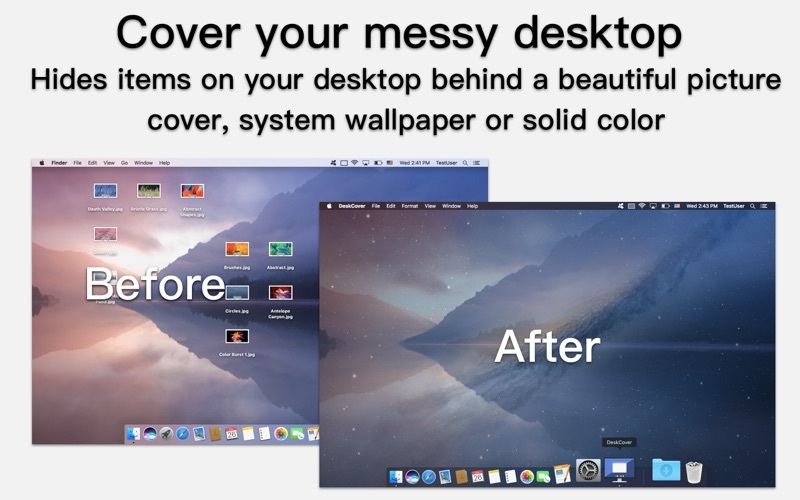 DeskCover is a simple Mac application that allows you to hide the mess on your desktop with a single mouse click or by pressing a global hotkey. 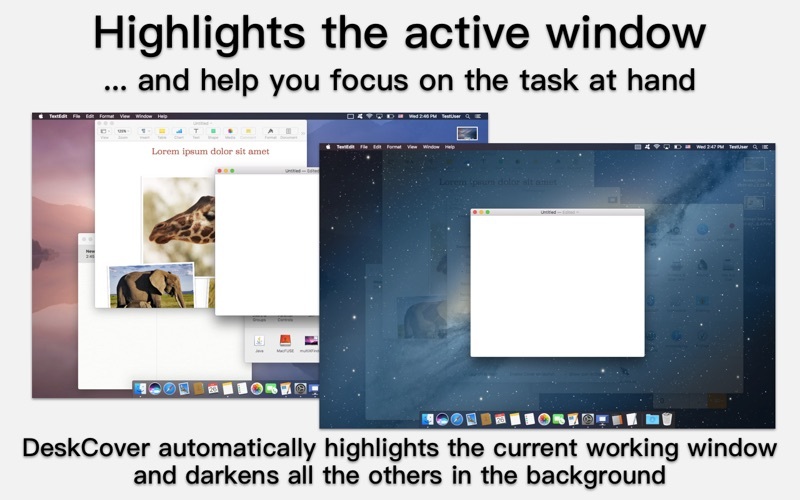 DeskCover also allows you to focus on your current task by highlighting the window of the currently active application and automatically dimming those of inactive ones. Does the mess on your desktop constantly distract you? Does this medley of files, icons, folders and other things hamper your work and you just don’t have time to clean it all up? Need to write an important email or finish a report? Do you want to make a screenshot, record a screencast or make a presentation, but need to hide your documents and icons from the prying eyes? DeskCover is just the right tool for the job! Your desktop chaos will be reliably hidden under a special cover and will remain invisible to everyone. DeskCover automatically highlights the current working window and darkens all the others in the background. 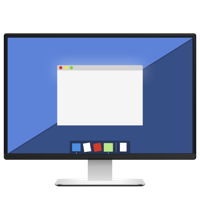 Use the color, system wallpaper (desktop image) or your own picture as a cover that will hide the desktop or isolate the active window.You can also adjust background transparency settings. If you have questions, feedback or need help, please contact us at feedback@NoteIfyApp.com or via the App Store “Support” link, or tweet us @FNotesApp.